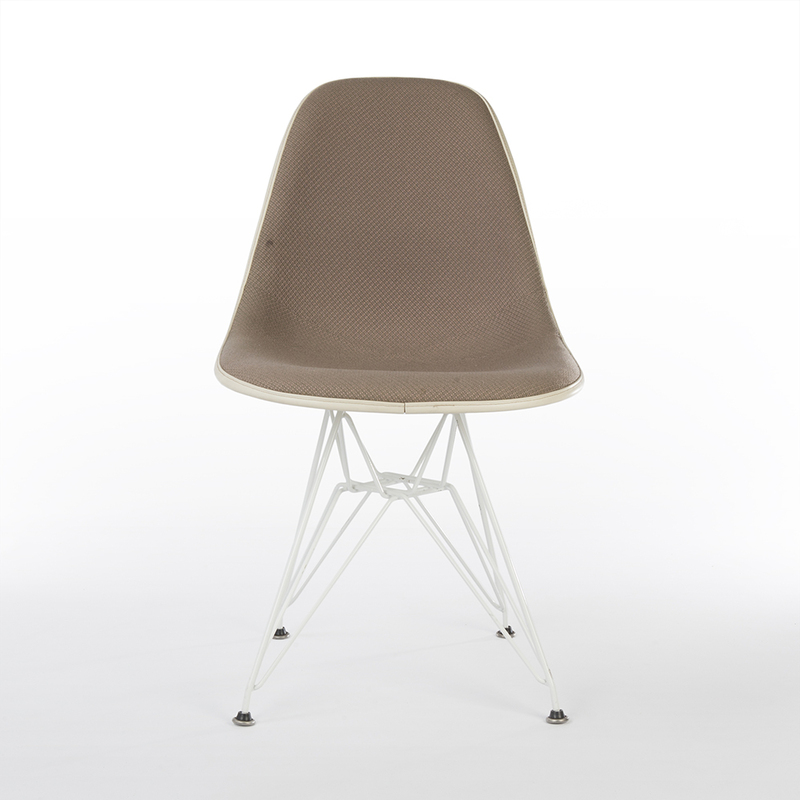 Here’s a great example of an original Eames and Herman Miller side shell with beige fabric by Alexander Girard. 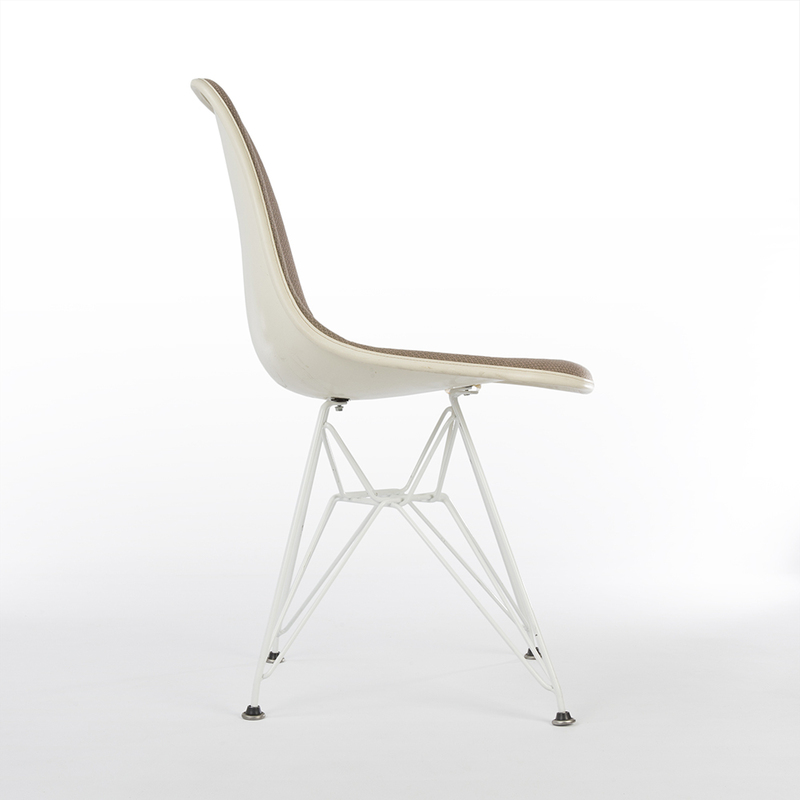 Sat upon its used white DSR Eiffel base, this iconic shell has been lovingly finished in a striking hopsack upholstery that helps accentuate the versatility of the design. This particular top is in good aged condition. 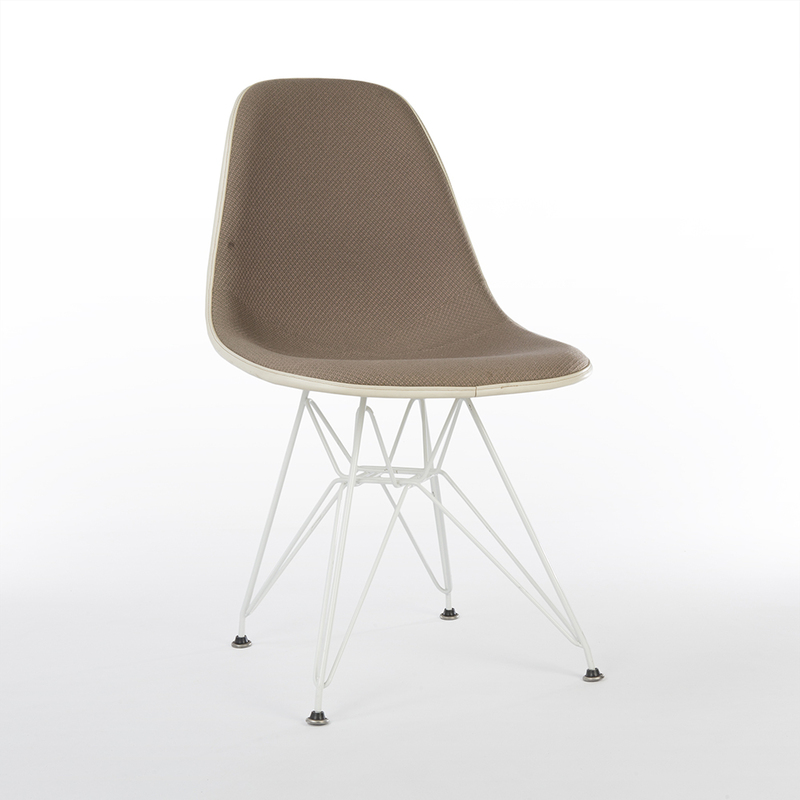 There are some slight marks on it but a small amount of work will restore them. The interesting fabric upholstery is in good condition too with only some slight age related marks on it. There are no cuts or tears in it. 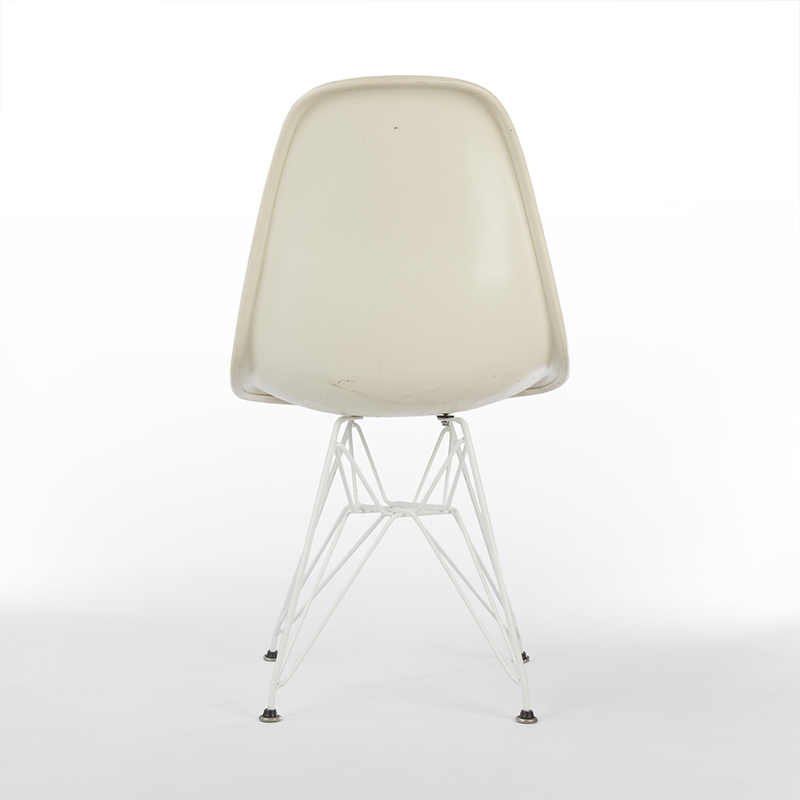 The ‘Herman Miller’ sticker on the underside indicates this is a later version of the iconic Eames shell from roughly the 1980s.